I’m so excited to be joining several of my favorite ladies for a summer blog hop today! 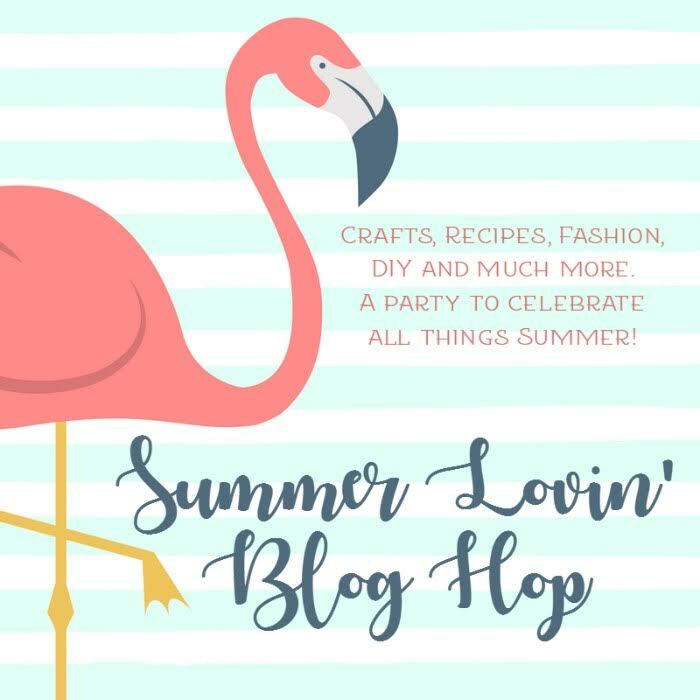 Be sure to check out all of the other links at the bottom of this post for more summer inspiration. I love me some red, white, and blue, and the older I get, the more I love it. 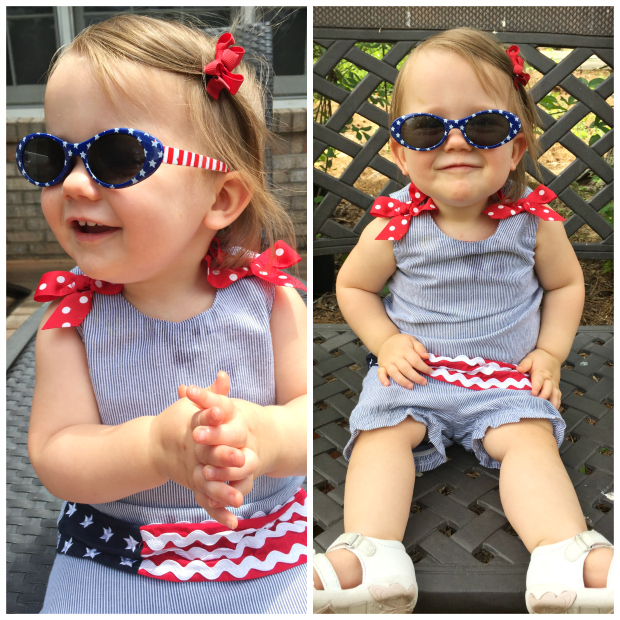 Every Memorial Day and 4th of July I love to dress our little family up in patriotic colors… even B gets into it! 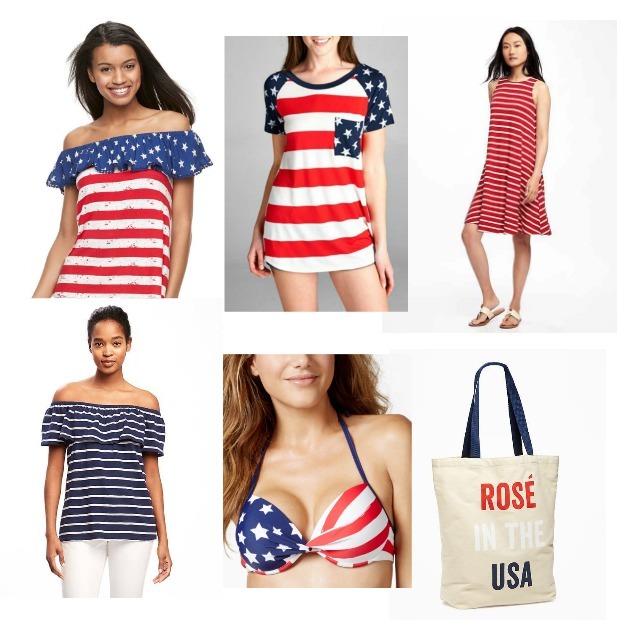 Today I’m sharing with you some of my favorite red, white, and blue fashion picks for everyone in the family. 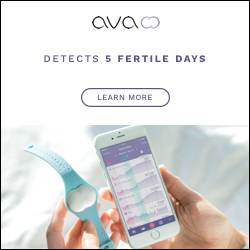 Olivia has nearly every one of those items listed above... how stinking cute are all of them?! And if you're looking for some festive recipes to go along with your festive attire, check out my Red, White, and Blue Jello Shots and my Patriotic Strawberries. They are definitely tried and true crowd pleasers! Don’t forget to hop around for more summer inspiration below! That blue dress of yours is one of my very favorites - everytime you share a picture of it, I wish it were current so I could get one! How FUN is this!!! You are my red goddess inspiration!!!! Add in the blue and white, and you and the fam are the CUTEST Patriotic Precious Peeps!!! The red ruffly lacy sleeveless top is my fav!!!! Thank you so much, Andrea! And yes, I LOVE that ruffly lacy top as well... I've had it for YEARS! Love all your outfits! 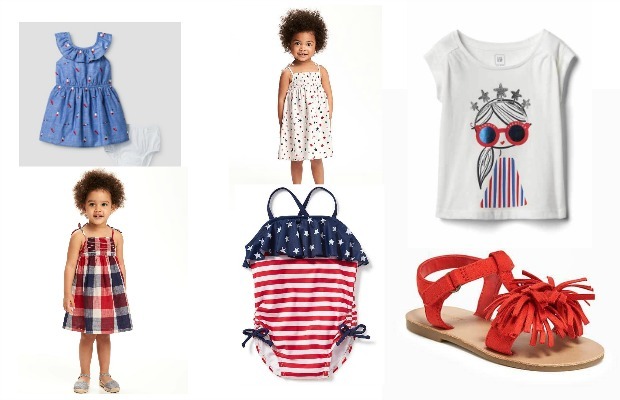 Red, White, and Blue is just my favorite all summer long! I love the pictures of the kiddos from a couple of years ago! I don't typically wear much red but this post has inspired me to start! I love all your festive red, white, and blue outfits. So fun!! I just bought a shirt at Target for myself and cant' wait to wear it. Y'all couldn't possibly be any cuter. I love that you can pull so many looks together just buy owning the right colors. It really isn't that hard if you have some red, white and blue! I LOVE all the red, white and blue!! So fun, and you guys are just too cute!! Thank you so much! Isn't it so cute? Great looks Lindsay! I love all the red, white, and blue options. Such cute outfits! Gotta love the festive attire. I'm the same way. Last year I made everyone in my family get the dorky Old Navy t-shirts...even for Emma when she was just 2 months old. We all took a family photo at my parents lake house and it's one of my absolute favorites. So special! I LOVE that you guys are so festive! Loving all of the inspiration and I can't wait to see this years photo! I love the Rose in the USA bag. So cute. Love all the outfits. 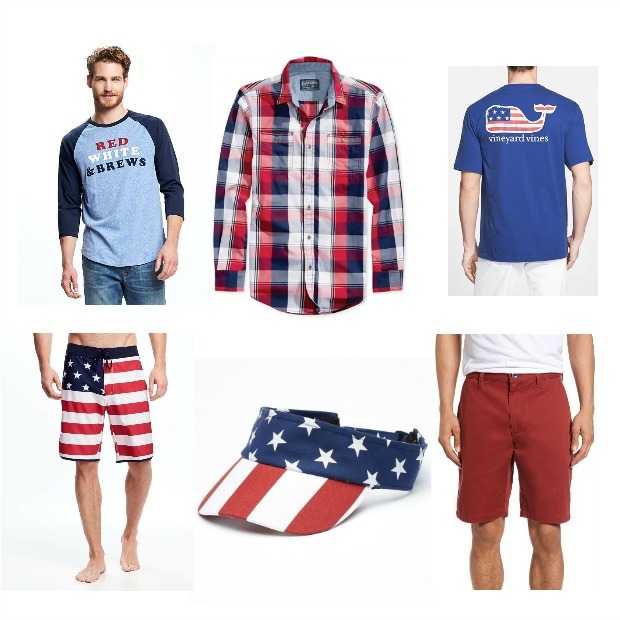 I think it's a must to dress festively for the 4th! When I was little my mom used to dress us in matching Old Navy 4th of July shirts haha! Now that we're all older, we stick to red, white, or blue. I love dressing festive and all of these are such cute options!! Ahhh those little baby pictures of Jacob and Olivia kill me!! SO SWEET. 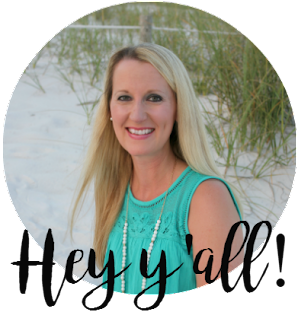 I am loving that pocket tee you linked-so cute and looks so comfy! I knoooow! Weren't they so stinking cute? Seeing their little baby faces makes me have all the feels. 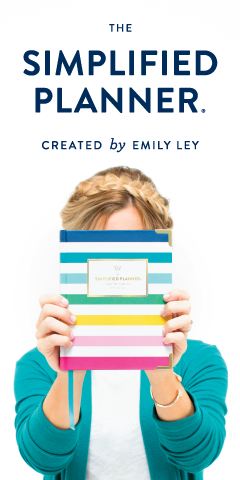 I love these ideas and my favorite is the red and white striped dress for women! 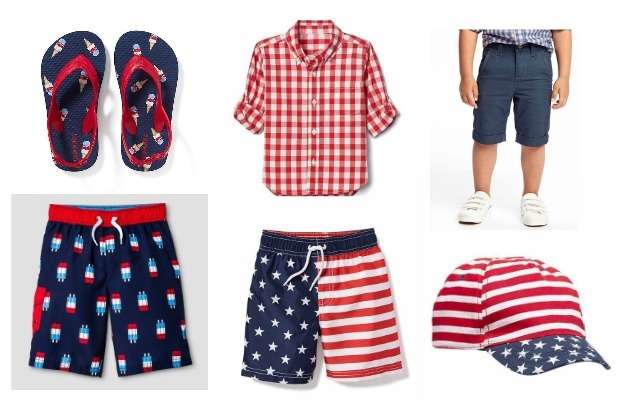 I sure love a great patriotic outfit and your family has got it down! Love the pics and the picks! Aww so cute! I love Americana for the whole summer- and it makes for great photo ops with the family for sure! You can just never lose with these colors! I always, always love them. Wore my navy ON sundress this week too! Like I've said a hundred times, you have the BEST wardrobe! All of the red, white and blue makes me happy.